ENROLL NOW$ 49.99 Start your course! 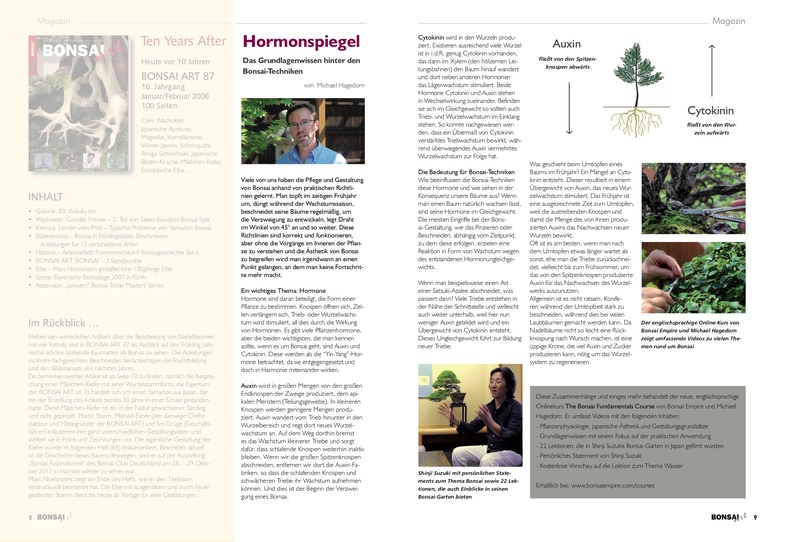 Learn about the principle concepts of Bonsai; Plant physiology, Japanese aesthetics and Design! Introducing the Bonsai Fundamentals Course, an online tutorial offering unique insights into the fundamental concepts of Bonsai design and techniques. 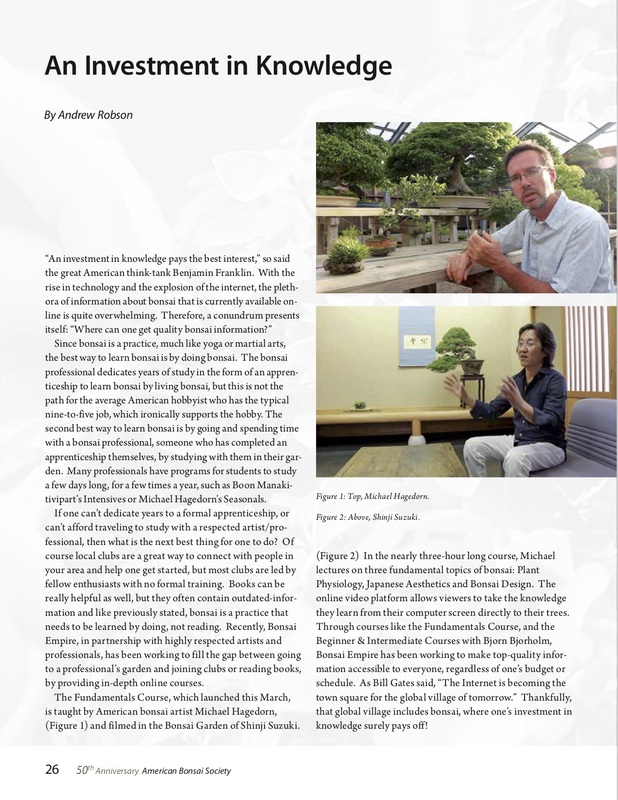 It provides important but often neglected instruction of plant-physiology and Japanese aesthetics, deepening your understanding of the living art of Bonsai. 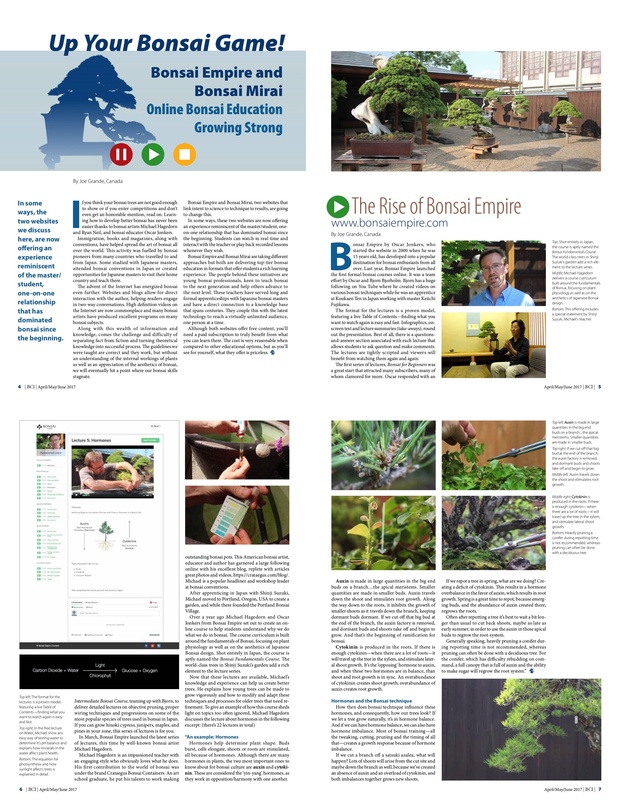 This expansive online tutorial builds upon the previous courses and takes a more fundamental approach to learning Bonsai techniques. By understanding how hormones and sugars determine plant shape for example, and how Bonsai techniques like fertilizing and pruning impacts these processes, we greatly improve our ability to shape and care for our Bonsai. 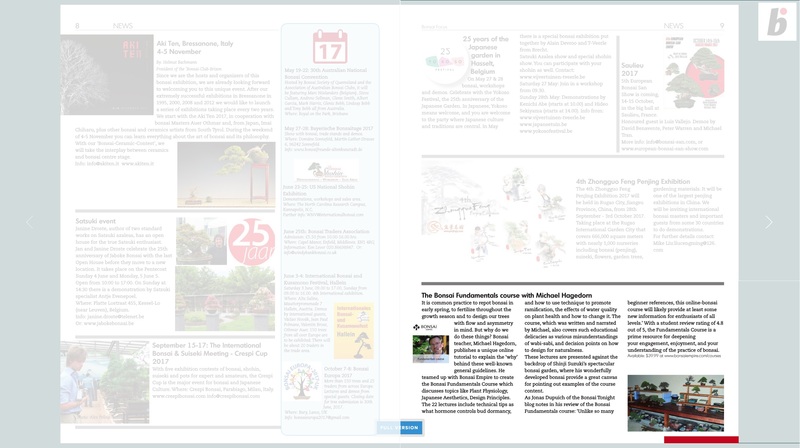 The Bonsai Fundamentals Course features 22 lessons on plant Physiology, Japanese aesthetics and Design principles in an exciting, easy-to-use platform. Filmed entirely in the beautiful garden of mr. Shinji Suzuki. Watch a free lecture in the curriculum below. For $49.99 you get unlimited access to the entire online course, without any recurring fees or hidden costs. Bonsai professional who apprenticed under Bonsai master Shinji Suzuki in Obuse, Japan. What will I get by taking this course? After completing the course you have increased your knowledge of three fundamental Bonsai topics; plant physiology, Japanese aesthetics and design. 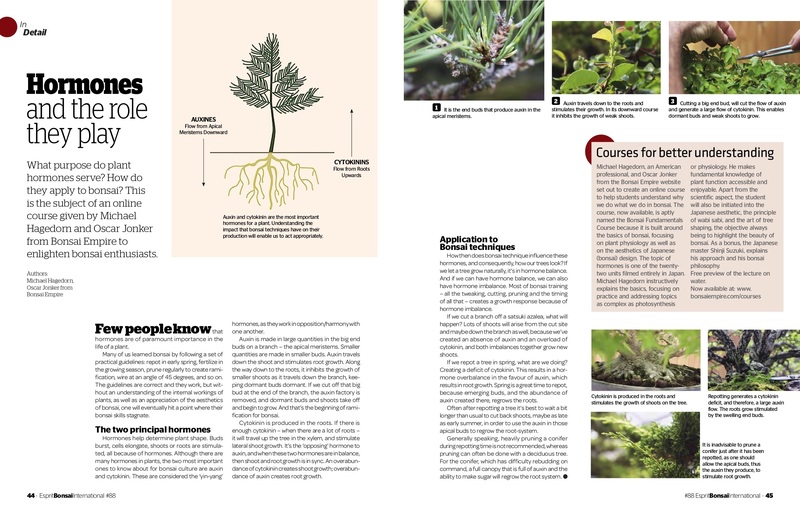 But the Fundamentals course is not merely theoretical; everything we teach is practically oriented, enabling you to improve your trees at home. How will I be able to access the learning material? After enrolling in the course, you will always have unlimited online access to all the lectures and to the learning materials, on any computer, tablet or mobile device you own. It is a completely self-paced online course. English subtitles are available on all lectures. We accept Credit cards and PayPal. This course continues where the "Bonsai Beginners Course" ended; we assume you have at least a basic knowledge of Bonsai techniques like watering, fertilizing and repotting. Can I purchase the course as gift? Absolutely! We sell gift vouchers in a beautiful design, ready to print or forward to your friend or relative! Click here to purchase. ENROLL IN COURSEStart your course!